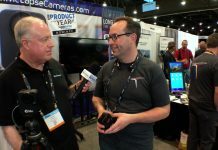 At ShowStoppers at NAB in Las Vegas, one of the most interesting things we saw was LumaFusion by Luma Touch, a professional video editing app for iOS. 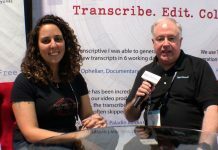 Terri Morgan, Co-Founder, Design, explains its capabilities that include multiple tracks for audio and video, a titler, transitions, and effects. Terri gave us a short demo on how what it can do.